The beautifully neutral Arran suite is upholstered in chenille fabric with pocket sprung seat cushions and compliments with the layering of a neutral checked scatter cushion on the 2 and 3 seaters. Available in stone or grey finish. 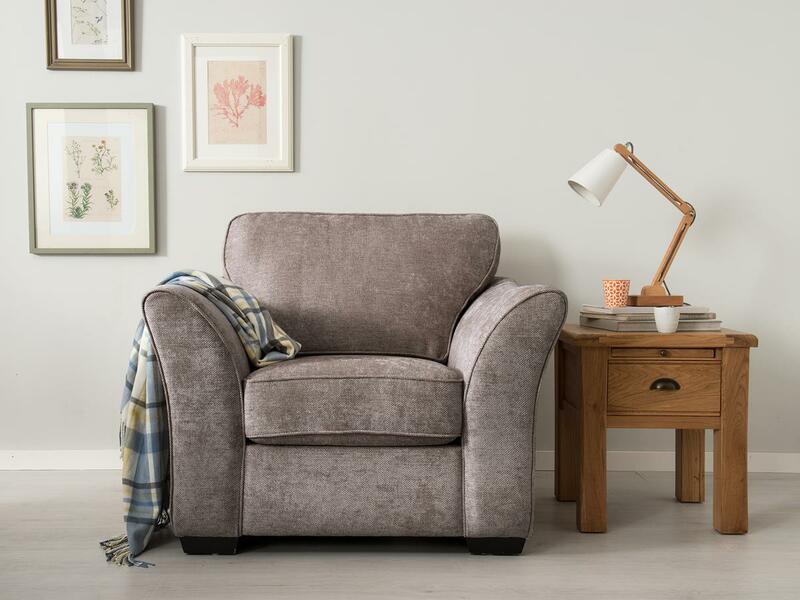 Bold styling with relaxed feather filled seats for laid-back living. Each piece of top quality, fully natural leather, sustainably sourced from around the world, bears unique variations in shade, grain and texture, further adding to the sofa's charm. Also available as a 2 seater.